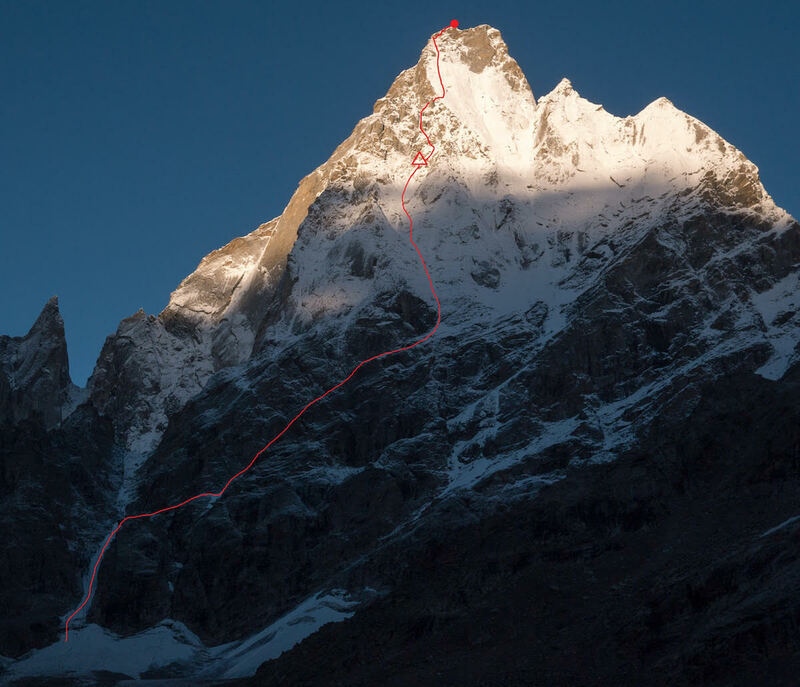 Going light and fast during a short weather window, Japanese climbers Genki Narumi, Yusuke Sato and Hiroki Yamamoto squeaked in a new route on the northeast face of Cerro Kishtwar (6173m) in India, between September 20-25. They named their route All Izz Well (VI WI5 M6, 1500m). 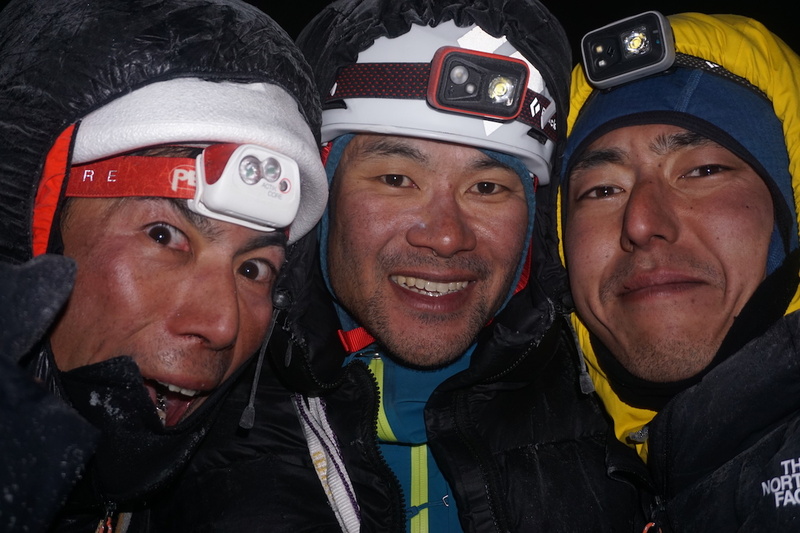 Narumi told Alpinist that they ascended 1000 meters via an easy snow gully that was followed by a section of ice on Day 1. Then we went for a 500-meter summit push on Day 2 without a tent or sleeping bags because we knew the weather window would be almost closed. 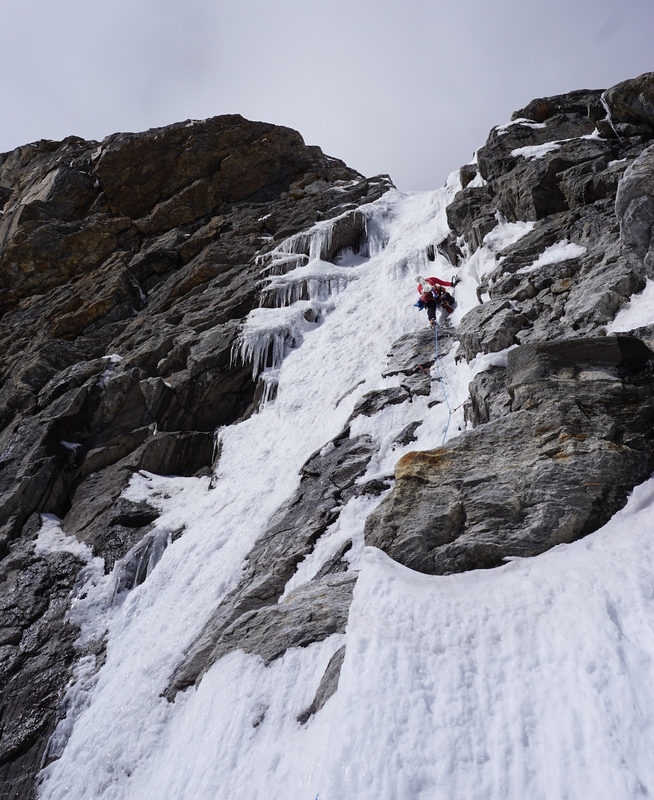 Day 2 started with a skinny ice pillar and then tricky mixed pitches that led to the upper wall, which consisted of rocks and thin ice and made for some serious pitches. 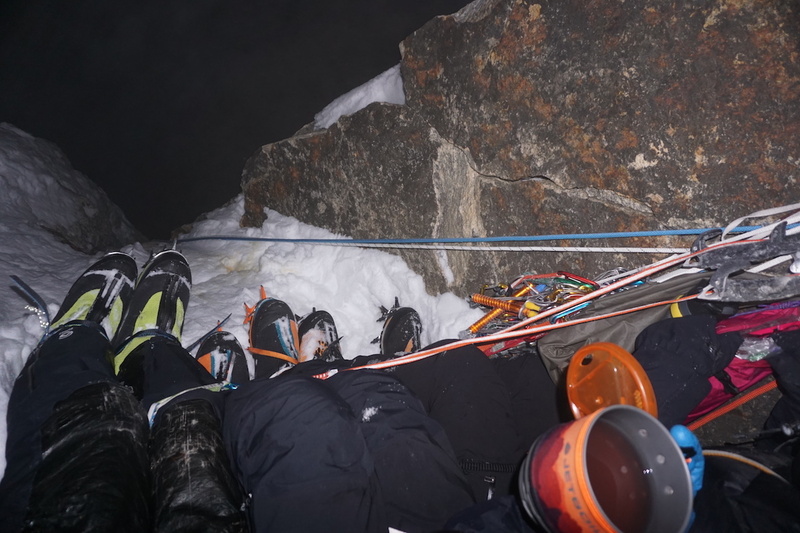 We kept on going into the dark, then finally summited around 11 p.m. We immediately started rappelling, stopping after a while for a two-hour brew session. About 10 rappels brought us to the first camp around noon. [At this point] snow started to fall and avalanches came down from everywhere on the wall. We kept on rappelling down for another 20 pitches in the terrible situation and finally found a safer place to sleep around midnight. 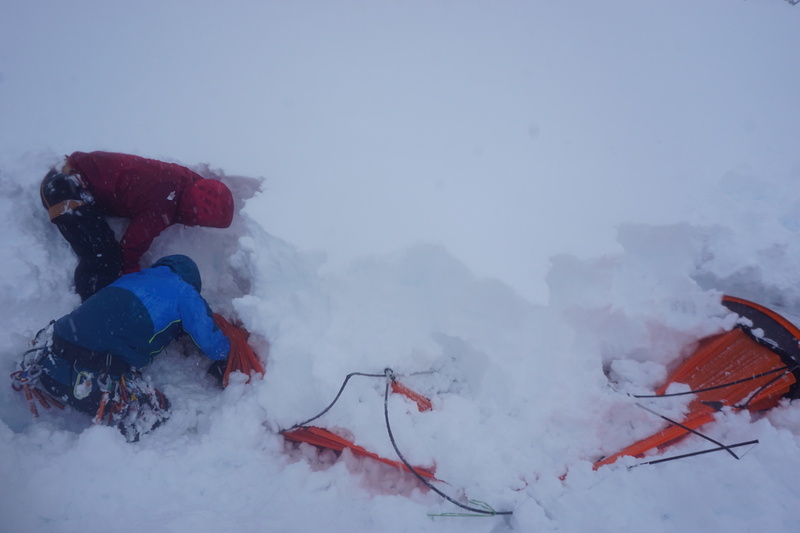 On Day 4 we made another three rappels and finally stood on the glacier, only to crawl through 60 inches of snow and find our advance base camp tent completely collapsed underneath [the accumulated snow]. 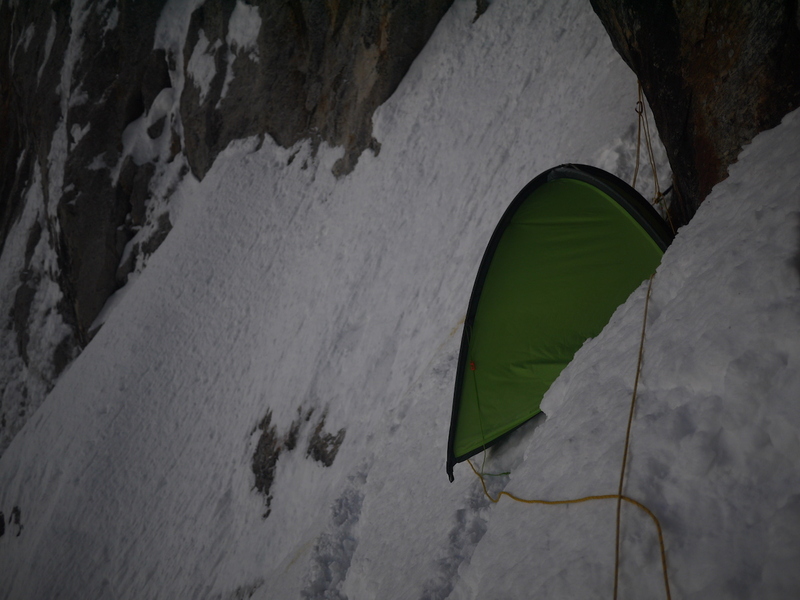 We rebuilt our ABC tent and rested there but realized it wasn't safe enough—an avalanche blast shook the tent quite strongly, so we decided to move down in the night. Another swim in the snow took us almost four hours to move only 200 meters. But here we found small cave under the rock. On the next day we stayed [under the rock], enjoyed some sun and waited for the snow to [stabilize]. On Day 6 [Sept. 25] the sky finally cleared, the snow [firmed] up and we could walk back easily to the base camp. Only Sato—an original member of the famous Giri Giri Boys—had been to India before, on an expedition to Kalanka (6931) about 10 years ago. 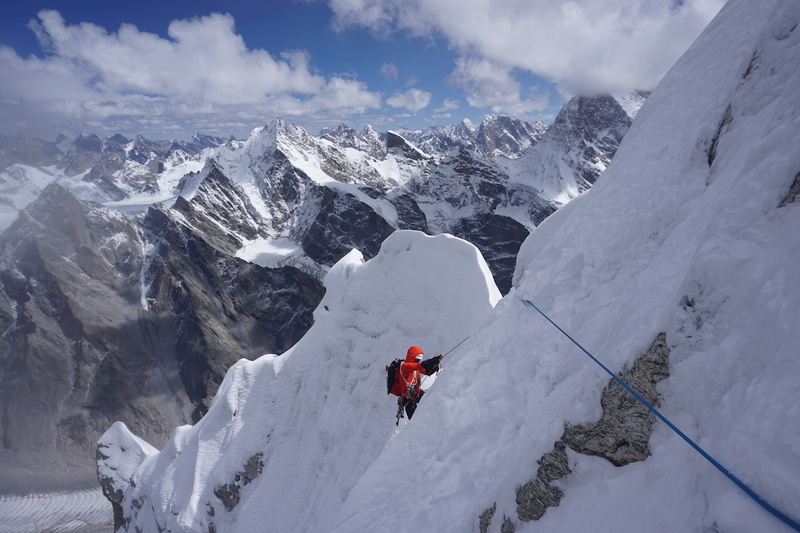 Narumi said they were inspired to go to Cerro Kishtwar after seeing a photo of the peak taken by Marko Prezelj, who climbed a new route on the mountain's east face with Hayden Kennedy, Urban Novak and Manu Pellissier in 2015. "[Prezelj] kindly gave us images and also beta to the area. That motivated us a lot," Narumi said. Last year Stephan Siegrist, Thomas Huber and Julian Zanker completed a steep aid line up the middle of Cerro Kishtwar's northwest face.